Vinyl Places, Vinyl Stories #3. November 2017. 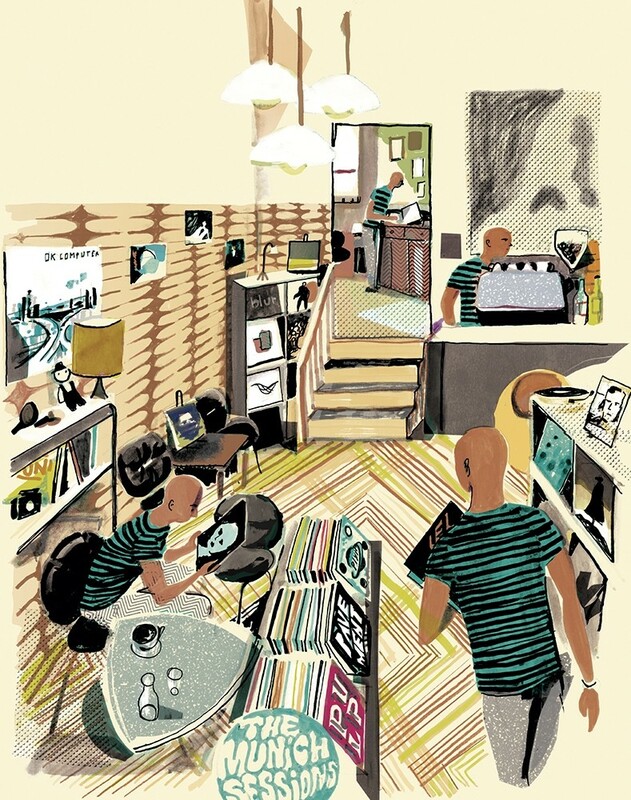 Illustrated article presenting the place and owner of MAOZ, a record store in Munich. There was also a small map of the neighborhood. The illustrations were based on photos and it's a mixture of a visual reportage with a portrait.